Downtown San Diego's Don Chido restaurant closed last Thanksgiving, claiming that the business would be renovating its space for an early 2018 reboot. 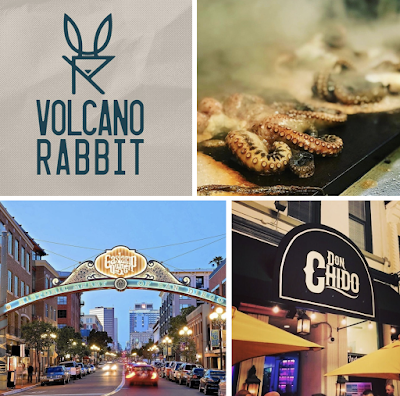 We now know that the prime Gaslamp unit will soon reopen under the same ownership as an entirely new concept called Volcano Rabbit, a Mexican eatery and lounge set to unveil on February 16. Named after a small rabbit native to Mexico, Volcano Rabbit promises the same high-energy nightlife experience for which RMD Group (Side Bar, Salvucci’s, Rustic Root, Knotty Barrel) is known. Volcano Rabbit will host DJs every Tuesday, Thursday, Friday and Saturday. Bottle service will be available with more than 40 bottles in addition to the “mix-and-match” mini-bottle service, which allows guests the choice of three mini spirits bottles from more than 30 options. Volcano Rabbit will also host a Saturday party brunch including DJs, build-your-own ceviche stations, brunch bottle service and more. 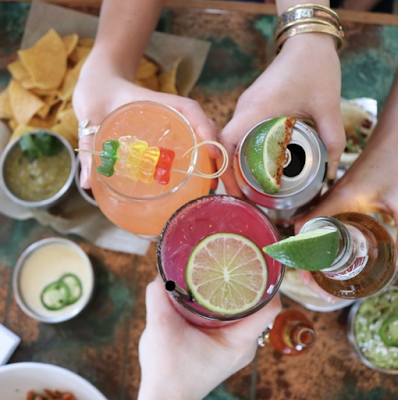 "Volcano Rabbit combines our reputation for creating outstanding nightlife experiences with an unforgettable food and beverage program," says Michael Georgopoulos, RMD Group partner. "We’re confident that it will bring something fresh and memorable to the ever-changing Gaslamp Quarter." Volcano Rabbit will boast Downtown San Diego’s largest agave spirits menu with more than 175 selections from around the world and will also feature a signature tequila locker program that, for an annual fee, allows guests to store bottles in personal lockers at the bar and provides access to special bottle pricing on all spirits available for purchase. Behind the bar, there will also be a host of handcrafted cocktails, craft beers, wine, sangria and Micheladas being offered. 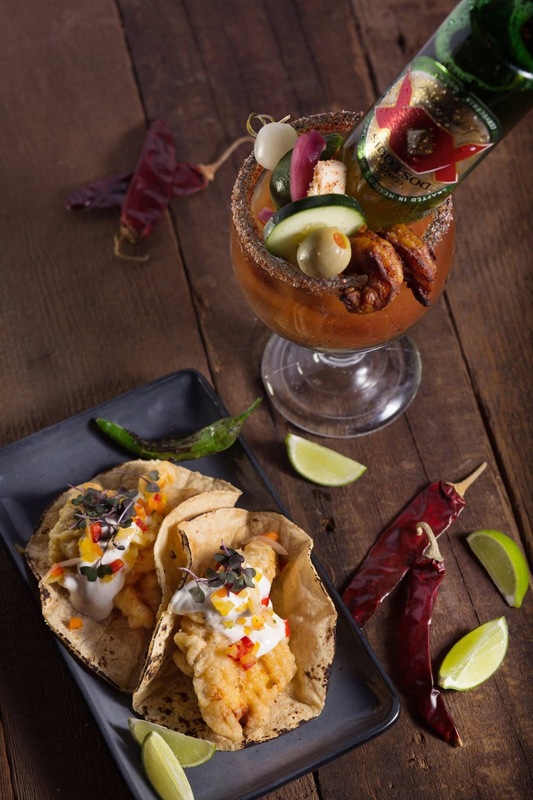 Signature craft tacos will be the focus of longtime RMD Group Executive Chef Andre Alto’s dining menus, with offerings including seared ahi, sticky beef short rib and chili-rubbed octopus. Each month, Volcano Rabbit will also offer a specialty "$20 Taco," with enticing options including baked lobster with katafi, poached quail egg, citrus aioli and sturgeon caviar; sea scallop with arancini cake, lemon coulis, crispy yam and bacon pop rock; and beef cheek with brioche toast, foie gras, marrow butter and mascarpone sauce. Beyond craft tacos, Volcano Rabbit will offer full size entrees including salmon poblano, short rib mole and a signature meat board. Volcano Rabbit was designed in collaboration with Ocio Design Group, one of San Diego’s top interior design and architecture firms. The space pays homage to the traditional Mexican hacienda with an added touch of cosmopolitan elegance and whimsical flair. "We used leathers, rattan, metals and cowhide to give it the rough, Old World Mexico vibe and plenty of greenery to lend an open atrium feel," says designer Rodolfo Ocio. "We added playful elements like an antique-inspired map of Mexico City behind exposed piping and lockers for tequila storage." Volcano Rabbit opens on Friday, February 16 at 527 5th Avenue in the heart of San Diego's Gaslamp Quarter. For more information, visit volcanorabbitsd.com.